Fig. 1. Leonardo Parasole (after Antonio Tempesta), Saint John with an Eagle from the interlinear version of the Evangelium sanctum Domini nostri Iesu Christi conscriptum a quatuor Evangelistis Sanctis, idest, Matthaeo, Marco, Luca, et Iohanne (1591), woodblock print, 10.1 x 12.6 cm. Rome: Tipografia Medicea. 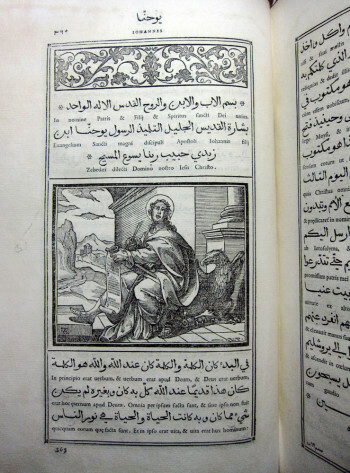 In 1590 and 1591 the Tipografia Medicea Orientale (Medici Oriental Press) in Rome published its two much-advertised illustrated versions of the Gospels in Arabic. The Evangelium sanctum Domini nostri Iesu Christi conscriptum a quatuor Evangelistis Sanctis, idest, Matthaeo, Marco, Luca, et Iohanne was printed first in Arabic only, then in Arabic with corresponding Latin text between every line (Fig. 1). 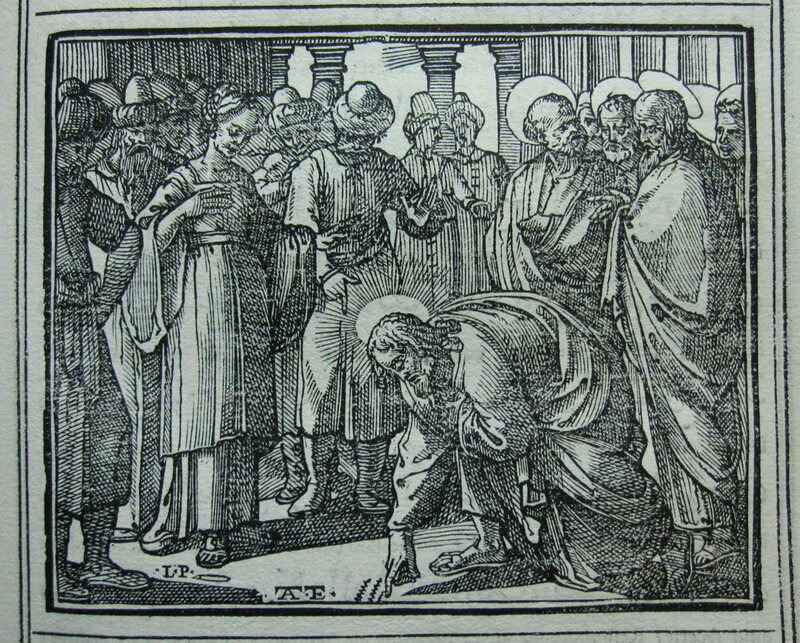 Sixty-seven woodblock prints of the Gospel scenes appeared in both versions of these luxurious books, illustrating the Life of Christ as told by the apostles Matthew, Mark, Luke and John. Many of the blocks appear multiple times in each book, illustrating the same story as told by the different evangelists. 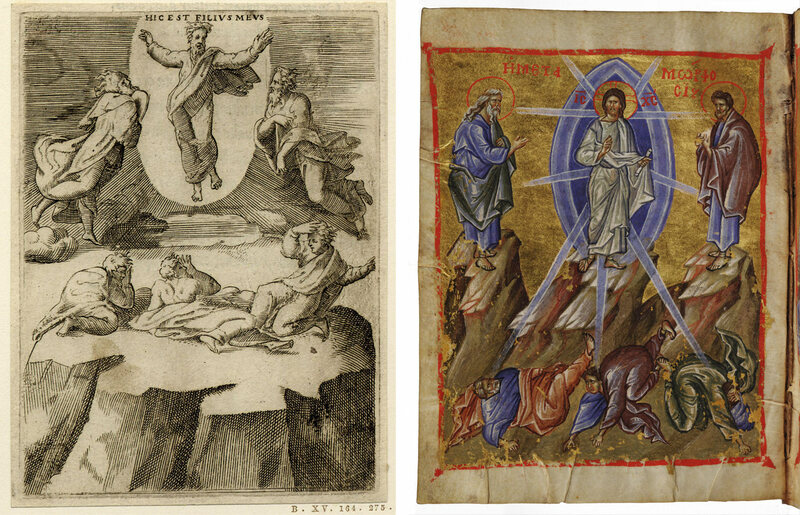 The registering of identical illustrations to these slightly different narratives reinforced the documentary plausibility of the material.1 The pictures also helped readers who knew the stories, but were unfamiliar with the languages, navigate the Gospels. Left: Fig. 2. Anonymous (after Antonio Tempesta), The Sermon on the Mountfrom the Arabic version of the Evangelium sanctum Domini nostri Iesu Christi conscriptum a quatuor Evangelistis Sanctis, idest, Matthaeo, Marco, Luca, et Iohanne (1590/91), woodblock print, 10 x 12.5 cm (Rome: Tipografia Medicea). Houghton Library, Harvard University Library. Right: Fig. 3. Workshop of Leonardo Parasole(?) 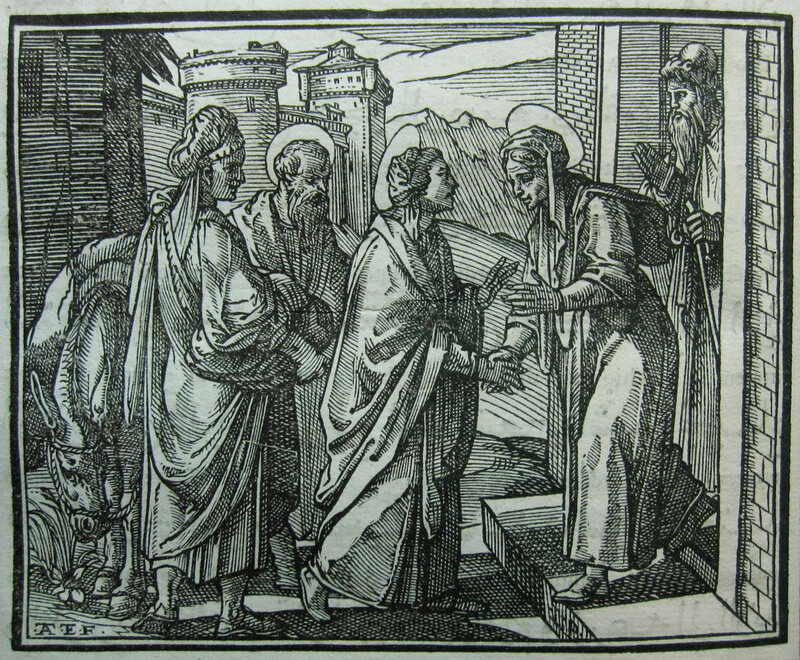 (after Antonio Tempesta), The Sermon on the Mount, from the interlinear version of the Evangelium (1591), woodblock print, 10 x 12.5 cm. Rome: Tipografia Medicea. 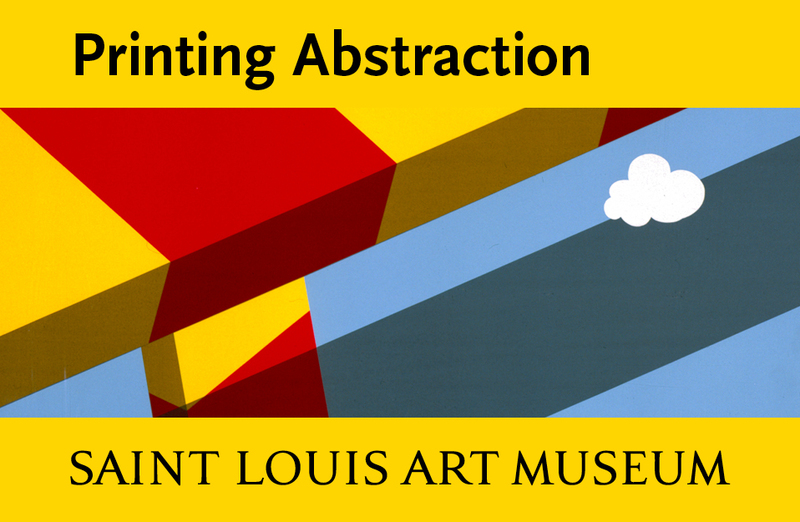 While the circumstances surrounding the foundation of the press were recorded in briefs and letters, there is no written documentation on the woodblock illustrations.3 When the woodblocks, which miraculously survive, came up for sale a few years ago, Richard S. Field noted that the illustrations were made with great legibility and simplicity.4 At the same time, they were sophisticated enough to act as ambassadors of modern papal style, with brilliant effects of light and shade. Their visual clarity directly reinforced the scriptural lessons in the accompanying texts. The designs for all the illustrations seem to have originated with the painter and printmaker Antonio Tempesta (1555–1630). Several of the blocks in the last two Gospels bear his monogram and that of the printer, publisher and woodblock carver, Leonardo Parasole (ca. 1552–1612).5 Field points out stylistic differences in the blocks, showing a transition from a more descriptive and literal style of cutting, visible in several unused blocks and in some of the images of the first Gospel books, to a more abstract cutting style in the images that appear in the last two books.6 Some blocks, cut in the more literal style appearing in the early books, were eventually discarded in favor of blocks cut like the later ones, suggesting that a standardized cutting style was implemented at some point in the printing process. We can see this in the case of The Sermon on the Mount, for example, which was cut twice before the printers arrived at the preferred solution, which was in the style of the blocks like those used in the later books of the Arabic text and in the whole interlinear edition. All three blocks still exist, cut from the same design, but exhibiting different conceptions of how Tempesta’s wash drawings might be effectively translated into woodcut hatching (Figs. 2 and 3). Fig. 4. Leonardo Parasole (after Antonio Tempesta), Christ and the Woman Taken in Adultery from the interlinear version of the Evangelium (1591), woodblock print, 10 x 12.5 cm. Rome: Tipografia Medicea. The organization of such an ambitious publishing project required the expert coordination of specialists in languages, international commerce and every aspect of printing and censorship. The copious diaries and correspondence of travelers sent to India and Africa to evaluate the market for the books reveal the many fronts on which Raimondi worked to keep the press afloat and under the radar of both the Medici, who tended to micromanage with an eye to maximum financial profit, and of the papal Inquisition, which was excessively concerned about the inadvertent spread, through Arabic materials, of precisely the sorts of heresies it was trying to extinguish. 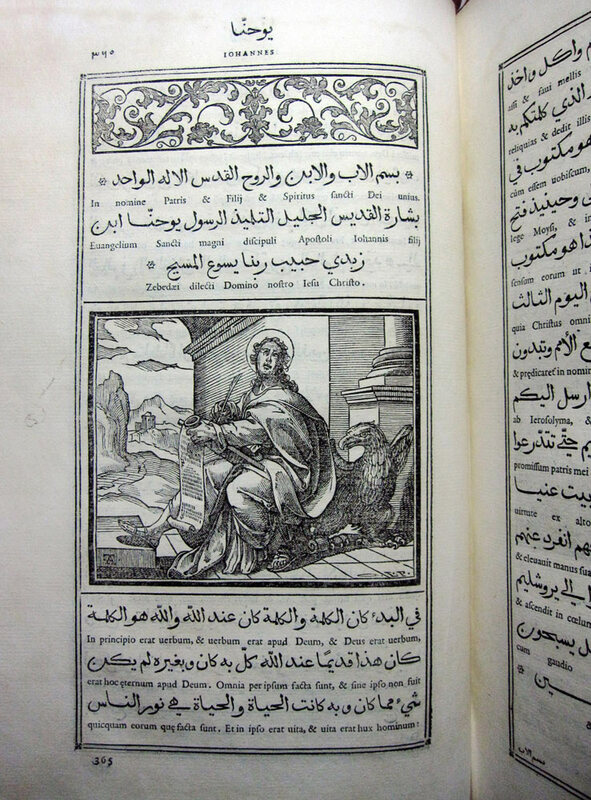 Among the problems with printing in Arabic in Italy (a process that was not undertaken in Arabic-speaking countries until the 18th century) was the limited availability of credible manuscript exemplars for content and calligraphy, the founding of the difficult type so that it retained the dignity appropriate to a sacred text, and finding compositors fluent enough in the language to proofread the letters backward and forward.9 Medici financing was essential to the operation of the press, as was the presence in Rome of Jewish converts and Arabic-speaking Christians who could read, translate and set type in Hebrew and Arabic.10 Ferdinando de’ Medici not only expected Raimondi to supervise the scholarly and missionary aspects of the press, but also to run it as a profitable business.11 For this reason, and because it was a major interest of Raimondi’s, the press also published Arabic works of geography, medicine and mathematics, all of which proved commercially successful. Fig. 5. 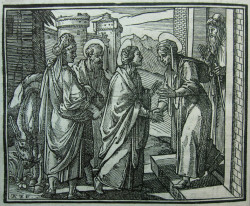 Leonardo Parasole (after Antonio Tempesta), The Visitation from the interlinear version of the Evangelium (1591), woodblock print, 10 x 12.6 cm. Rome: Tipografia Medicea. There was an avid (although limited) market for books in Oriental languages in Italy and in Northern European universities where scholars lacked the grammars and dictionaries, much less other publications of scholarly interest,indispensable for pursuing their studies.12 The financial support of the Medici, as well as the scholarly presence of Raimondi, meant that European scholars eagerly anticipated the first publications of the Tipografia Medicea. Unlike Latin or Ancient Greek, Arabic was a living language, still spoken by merchants, diplomats and doctors in their professional transactions.13 The major drive for learning such languages among humanist scholars in Europe was to allow them to acquire better knowledge about the oriental roots of Christian religious learning; there was also new impetus, in the wake of failed military actions, to find peaceful ways of converting Muslims and Jews.14 To learn this language well enough to read and interpret difficult texts required books of exceptional clarity or potentially problematic association with an infidel native speaker. The Flemish Latin teacher, Nicolas Clenardus (1495–1542), worked to establish Arabic learning in the Netherlands in order to fight the spread of Islam without resorting to military means, writing: “The Hebrew books which Bomberg prints in Venice go everywhere to find the Jews, to Egypt, to Africa, to India. It will be the same with the Arabic books that we will print in Louvain.”15 Clenardus failed to befriend people who could teach him Arabic; this eventually led him to purchase a slave in Granada for this purpose so he could print Arabic works in the Brabant. For European humanists like Clenardus, who had a real stake in learning Arabic in order to carry out peaceful conversions, or to uncover the mysteries they believed lay hidden in the Jewish and Islamic faiths, the luxurious volumes for which the Tipografia Medicea was founded were, however, to prove disappointing. In spite of all the expense and care taken to provide illustrations for the Arabic Gospels, there is no evidence that the woodcuts were looked on favorably by readers, even those who otherwise noted the beauty of Robert Granjon’s Arabic type.16 Muslims, who forbade narrative images in sacred texts, would certainly not have wished to see them and European students of foreign languages did not need them. Scholars, therefore, have assumed that the inclusion of images in these books indicates they were actually intended for the European market in general and to bring Arabic-literate Christians into the Roman church, rather than to convert infidels. Unlike the text, the images were not translated into an Eastern idiom. Illuminated manuscripts of the Gospels were readily available in Byzantium and visualized the tales in a different style and iconography. Fig. 6. Workshop of Leonardo Parasole(?) 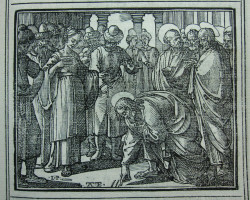 (after Antonio Tempesta), The Transfiguration from the interlinear version of the Evangelium (1591), woodblock print, 10 x 12.6 cm. Rome: Tipografia Medicea. 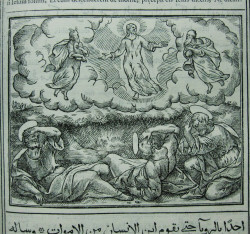 The Transfiguration, for example, an early unsigned block that is printed three times in the Medici Gospels, shows the Roman idiom used for the illustrations (Fig. 6). The story of the revelation of Christ’s divinity as he prays with three apostles on a high mountain is one of the more abstract subjects in the scriptures. In it,Christ and his robe suddenly turn brilliant white, followed by the arrival of a cloud at once bright and dark that overwhelms the apostles. 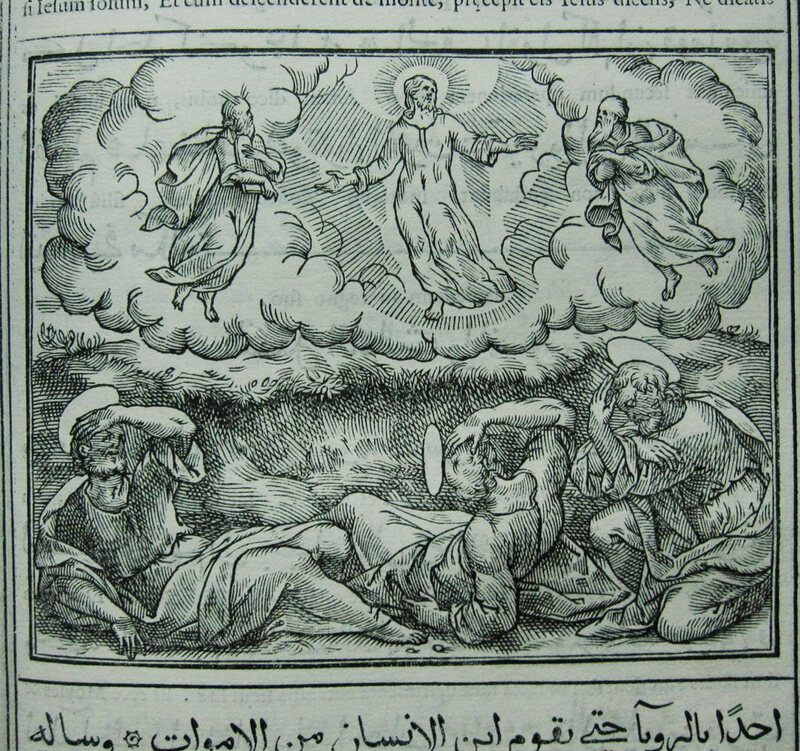 From the cloud, the voice of God, as in the Baptism, identifies Christ as his beloved son.17 The woodcut, in which the artist emphasizes the apostles’ fear, shows Christ lofted into the sky with Moses and Elijah, the trio establishing a heaven-borne counterpart to the group of three cowering apostles below. Blinded by the radiant figure of Christ and terrified by the thundering cloud, they tumble over each other in the fog and dark in the lower section of the picture. Raimondi’s letter to Phillip III ended with a trope that often appeared in the Scriptures: the word of God, like a sword, can convert souls.20 The immediacy with which images entered the soul through the senses rendered them bloodless crusaders in the eyes of both Raimondi and the pope, transforming the books into effective “drones” that encouraged conversion, especially in regions that were otherwise too dangerous to send missionaries. The fact that they penetrated the hearts of men in the visual idiom of the Roman, rather than the Greek Church, further promoted the plan to encompass the older, Eastern Church in the rites of the younger, Western one. In their own way, the woodcuts proclaimed the Latinity of the Gospels: in whatever language the words were encountered, they referred to events that did not look as Easterners might have expected them to. Left: Fig. 7. Giulio Bonasone (after Raphael), The Transfiguration of Christ from Achilles Bocchius, Symbolicarum quaestionum de universo genere (1555), engraving, 11 x 8 cm. Bologna. ©The Trustees of the British Museum. Right: Fig. 8. Giulio Bonasone (after Raphael), The Transfiguration of Jesus Christ, from cycle of the great feasts of scenes from the lives of Jesus and Mary (manuscript 1322-40), Greek. MS. Gr. th. f. 1. 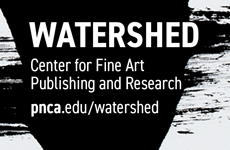 ©The Bodleian Libraries, University of Oxford/The Art Archive at Art Resource/Art Resource, NY. The images in these Gospels allow us to understand the technical and commercial challenges, as well as the opportunities, presented by this grand first project. Rather than dismiss it as a costly and misguided fiasco, we may more usefully consider it the training ground for a group of printers, publishers and patrons during the period of the Roman Inquisition and the Atlantic Conquest. The surviving unused blocks of the Gospels that had to be recut show the printers carefully readdressing the visual rhetoric of the books after a certain point in the printing. The desired unity of the Church would come to be represented by a uniformity of style throughout the book, introduced by astandardized system of cutting the images from the blocks. Fig. 9. 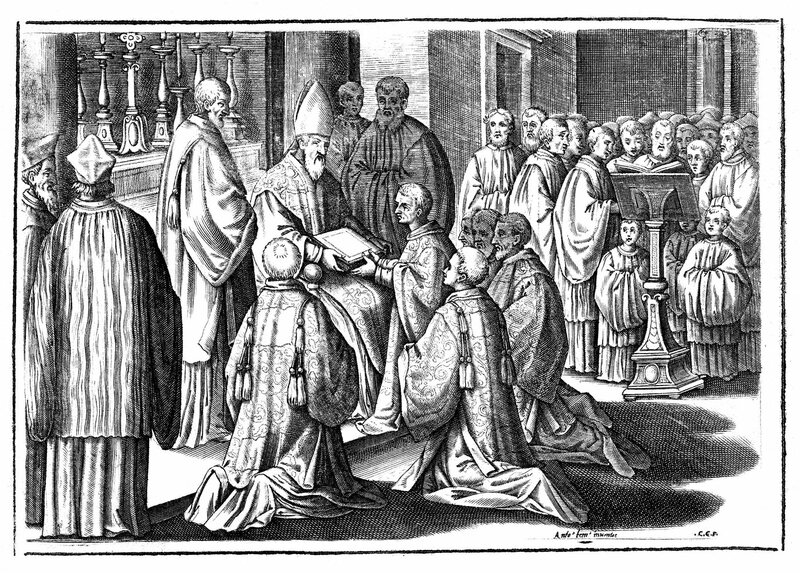 Camillo Graffico (after Antonio Tempesta), “Ordination to the Major Order of Deacon,” Pontificale romanum Clementis VIII Pont. Max. iussu Restitutum Atque editum (1595), engraving. Rome: Iacobum Lunam. ©Pitts Theology Library, Emory University. 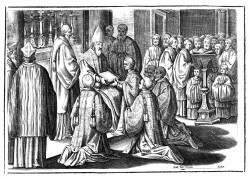 Like the Arabic Gospels, bringing church ritual into line with Tridentine recommendations began with Gregory XIII, was continued by Sixtus V with the cooperation of participating cardinals, and came to fruition with the aid of Cardinal Ippolito Aldobrandini. From the beginning Aldobrandini had helped supervise the evangelical work of the Tipografia Medicea; when he became Pope Clement VIII in 1592 he renewed his attention to the reform of ritual.26 The images, in both engraved and woodblock versions, prescribed the proper postures, gestures and dress for the celebrants of rituals performed by popes or bishops, from papal elections and imperial coronations to public ceremonies and festivities.27 Tempesta again provided models, and engravings were made by Francesco Villamena, Camillo Graffico and other printers active in Rome at the turn of the century. 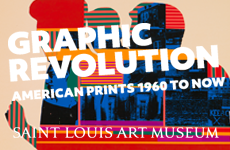 The publishing histories of these two books are complex, as different versions disappeared and reappeared with different plates and blocks—and are the material for another story. But the key point here is that publishing for the papacy in Rome in the era of reform required scholarly, courtly, commercial and technical mastery on an unprecedented scale, the coordination of which was effected by much hard work and ingenuity by Raimondi and his team. Science, religion, art and the study of languages came together from a variety of interests coalescing around the publication of a pair of Arabic Gospels that, while not a commercial success, established a fulcrum for inventions and associations in the world beyond the busy offices of the Tipografia Medicea Orientale.